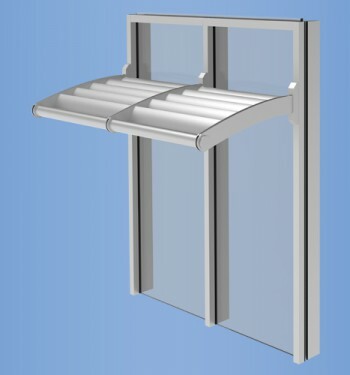 The YCW 752 OGP is an outside glazed pressure wall system that offers a sight line of a mere 2” wide. This system utilizes a low conductivity pressure plate made from an industry proven material, Polyamide 6/6. 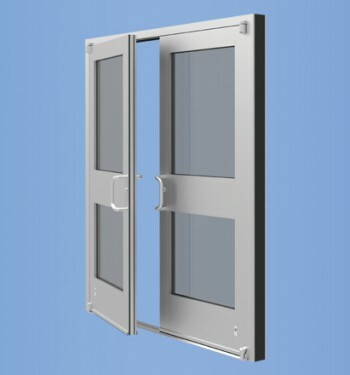 The YCW 752 OGP is an outside glazed pressure wall system that offers a sight line of a mere 2” wide. This system utilizes a low conductivity pressure plate made from an industry proven material, Polyamide 6/6. The polyamide pressure plate is a superior alternative to competitive fiberglass products that require special handling and equipment during fabrication. Because of this, it reduces temperature transfer from the exterior to the interior creating more comfortable interior space. This system offers a wide variety of face covers and back members of several different depths that can also be steel reinforced to suit design requirements. 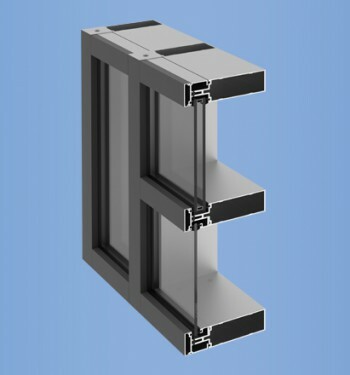 Mullion Depth: 1" Glazing Infill: 4-7/8", 7-3/8"
The YCW 752 is an outside glazed pressure wall system that offers a sight line of a mere 2” wide.